So here we are, let us discuss about this mystical look of Smoky Quartz. This type of gemstone is formed by the silicon dioxide content. This amazing gemstone have a distinct smoky color is made by the silicon dioxide that has been irradiated by nature. This gemstone sometimes is identical with mysterious power, and it also one of the gemstone that mostly used as a main concept design for gemstone in video games or cartoon. It have a distinctive a 6-sided prism, and usually have form in massive clusters. 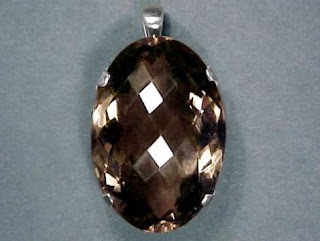 This is one of the variety of smoky quartz. You can found it easily in the Cairngorm Mountains back in the Scotland. It have a smoke-yellow brown color. It is used mainly in the Scottish Jewelries and decoration kit. Cairngorm Smoky Quartzis rare and have an exquisite price tag. One largest known Cairngorm have a weight for around 23.6kg and kept as a specimen in Braemar Castle. There is also Smoky Quartz that is known as Morion. It have a distinctive dark brown to black opaque color. 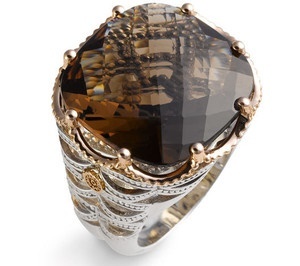 Morion is widely known in German, Danish, Spanish, and Polish as a synonym of Smoky Quartz. The name of Morion is come from the misreading of mormorion in PinyThe Elder. This Morion have a hardness of 5.4 MohsScale. In spiritual world, this gemstone is being use as a stone of psychic protection. It known that can protect you from the negative sides of energy and transmute it, by grounding it back to the earth. Because its naturally irradiated, this gemstone is useful for undergoing radiation treatment, because it can sustain and enhance your healing capabilities. If you are feeling unhappy or in severe bad mood, you might want to pick this stone as your healing serum, and you will find your good mood in no time.